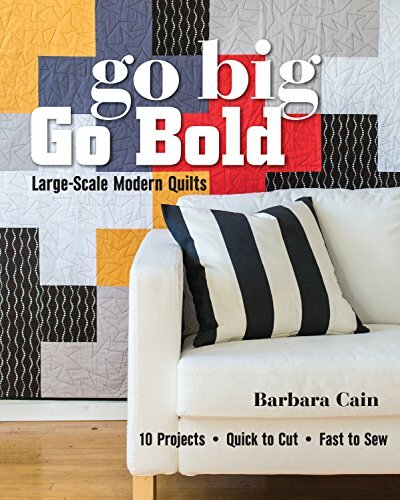 Barbara Cain is the author of "Go Big Go Bold, Large Scale Modern Quilts" and her quilts have appeared in many magazines too. She thought it would take a long time to save enough selvages to make anything, but creating these two beautiful selvage pillows (24" square) hardly put a dent in her selvage stash. Barbara used muslin foundation strips. 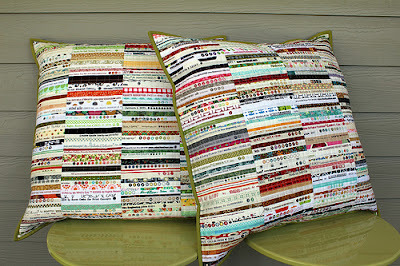 You can read more about this project on her blog: Modern Quilting by B. Nice job Barbara! Really nice pillows. Inspiring! It may be time for another selvage project. 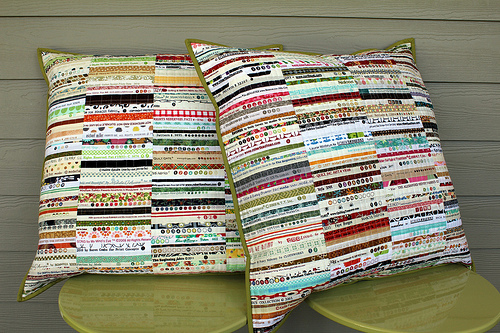 I love your selvage pillows!